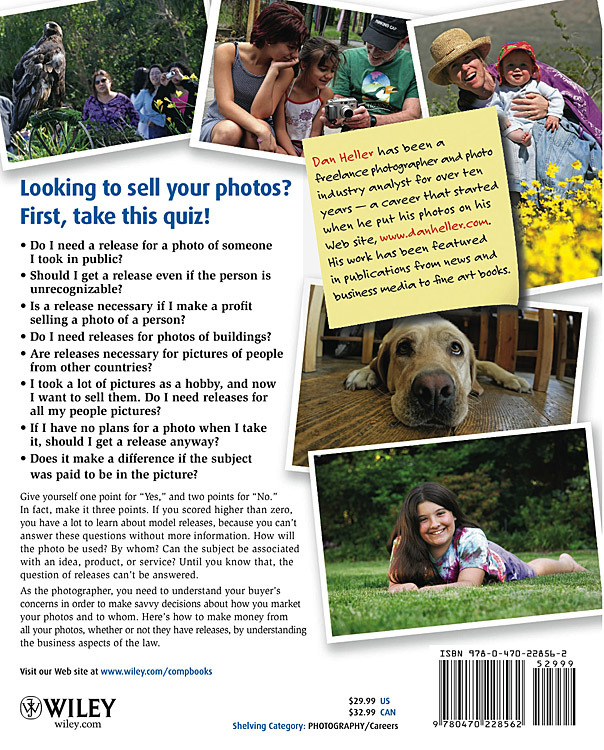 Are you looking to sell (license) your photos of people, places and things for publication? If so, model releases may be necessary. But not all the time. When are releases necessary, and when are they not? And what buyers need releases, and which don't? When it comes to running a business, you want to optimize sales by selling as many photos as you can, so the more you know about the subject, the better you can choose how to market and license all your photos, whether they have releases or not. But finding out about the subject is not easy. Most people are gravely uninformed, and it's not necessarily wise (or profitable) to only sell those images that have releases. So, going online to research the topic often results in misinformation, especially in online discussion groups. Your search is over. 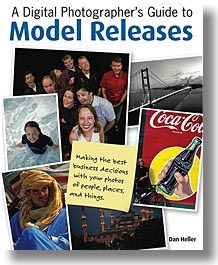 This 288 page, fully-illustrated volume is the most comprehensive book available on the subject, covering everything you ever wanted to know about model releases for people, places and things. It's the result of over five years of research, following changes and trends in light of photography's role on the internet and the digial realm. This fully-illustrated volume reads easily, making it perfect for everyone from the pro photographer to everyday people who take pictures on vacation, at their kids' soccer games, or at the park. Even models themselves can learn what their rights are concerning their own likeness, and when they can protect themselvesand when they can't. Are you not from the USA and wonder if this book applies to you? See here. Order now and get $5 off!